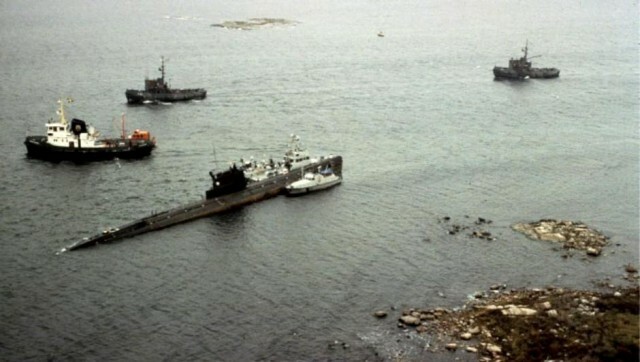 In October 1981, the Soviet submarine (NATO codename: Whiskey) S-363 accidentally hit an underwater rock about 10 kilometres from the main Swedish naval base at Karlskrona, surfacing within Swedish waters. The boat’s presence coincided with a Swedish naval exercise, testing new equipment, in the area. Swedish naval forces reacted to the breach of sovereignty by sending an unarmed naval officer aboard the boat to meet the captain and demand an explanation. The captain initially claimed that simultaneous failures of navigational equipment had caused the boat to get lost (despite the fact that the boat had already somehow navigated through a treacherous series of rocks, straits, and islands to get so close to the naval base). 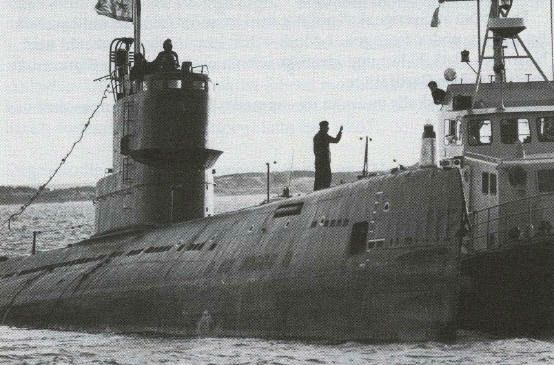 The Soviet navy would later issue a conflicting statement claiming that the boat had been forced into Swedish waters due to severe distress, although the boat had never sent a distress signal, but rather, attempted to escape. The Soviet Navy sent a rescue task force to the site in Sweden, commanded by vice-admiral Aleksky Kalinin on board the destroyer Obraztsovy; the rest of the fleet was composed of a Kotlin-class destroyer, two Nanuchka-class corvettes and a Riga-class frigate. Sweden’s centre-right government at the time was determined to safeguard Sweden’s territorial integrity. As the Soviet recovery fleet appeared off the coast on the first day, a fixed coastal artillery battery locked onto the ships, indicating to the Soviets that there were active coastal batteries on the islands. The fleet did not turn immediately and as they came closer to the 12-mile (19 km) territorial limit the battery commander ordered the fire control radar into top secret war mode, turning the radar signal from a single frequency to one that jumped between frequencies to stay ahead of enemy jamming. Almost immediately the Soviet fleet reacted and all vessels except a heavy tugboat slowed down, turned, and stayed in international waters. 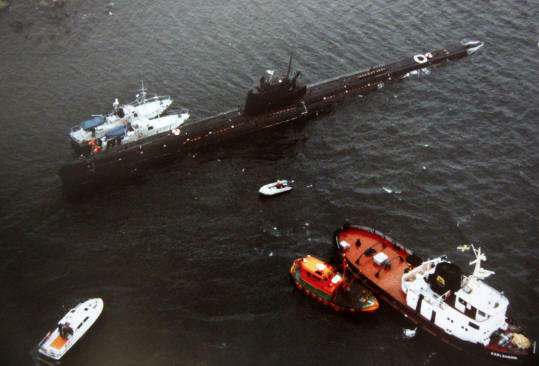 Swedish torpedo boats confronted the tugboat, which also left.